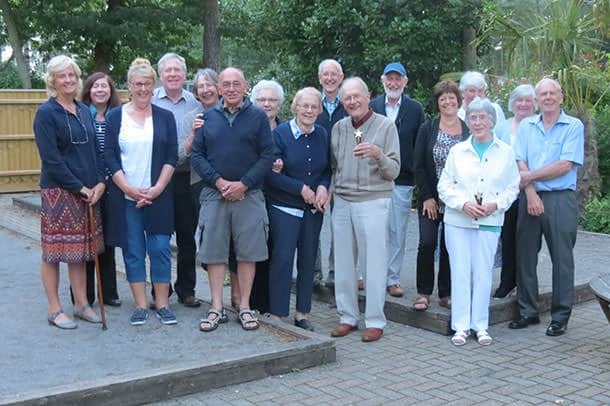 Fordingbridge Twinning Association had its annual Boules evening last Thursday at Sandy Balls Holiday Village (“Sandy Boules”?) and it was well attended by numerous members and friends from the local district. The weather was perfect, and everyone had a lot of fun with some tense moments as the matches were all very close! 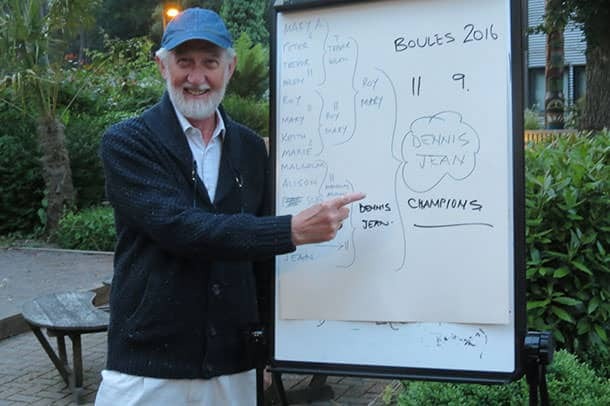 People arrived at around 6.30 pm to register, and the event began in earnest at 7.00, with seven rounds, until eventually, the winners of the final were Dennis Bailey, our President, and a guest Jean Brown. Luckily, the tournament finished before darkness fell! 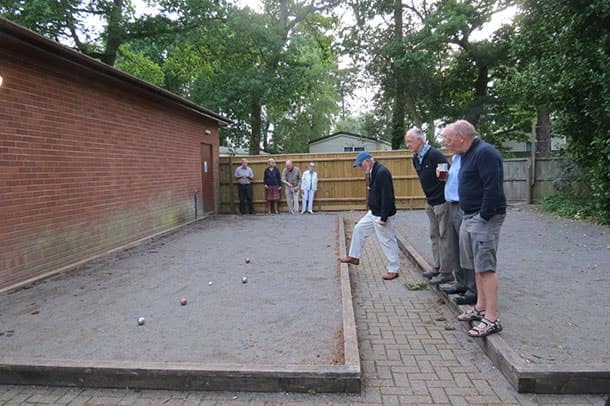 Everyone took part, and enjoyed a fish and chip supper, from Sandy Balls’ Woodside Inn. The next event to be attended by Fordingbridge Twinning Association is a bric a brac stall at the Fordingbridge Summer Festival on 19 July. We will be welcoming some guests from Vimoutiers who are visiting Fordingbridge for the first time, so please do come and say ‘Bonjour!’.